Three top blokes – Robert, Hugh and Carlo – for a decade have been promoting a club night in Glasgow called Strangeways. I’ve written about it before, and indeed chronicled my experience of being given an amazing opportunity to do a guest slot at one of the nights. While it turns things go in cycles, we presented our much cherished Strangeways night for almost ten years, and we loved every night. Putting our hearts and souls into every one with the eternal hope that you guys would love them too. And you came back time and again, dancing and singing until you drifted off into the night, it was happy, happy times. We decided it was time to close the doors on Strangeways this year while it was still a popular night and leave on a high. But we couldn’t just waltz off into the sunset, naw. Time for something new and the sounds of Northern Britain are calling you, Scotland’s music needs celebrated and celebrated loudly! It’s colourful, diverse, inventive, quite frankly it’s brilliant and we want to get you dancing once more. So say hello to ‘Simply Thrilled’ our first night will be back at the fantastic Admiral once more on the 28th of July. There’s even a wee video trailer to cast your eyes over. Here’s the thing. The intrepid trio have invited me to join them on a regular basis. And I’m simply thrilled, honeys. These guys really do know what they are doing and they really play to their individual and collective strengths. Robert and Hugh in particular know how to crank things up at just the right moments in an evening to take the atmosphere to new levels. I can only hope that my own contributions, in whatever shape they take and whatever hour(s) of the evening they occur, maintain that level of quality. And to celebrate all of this, I’m going to have a short series which celebrates some of the best in Scottish music. Not sure just how often the pieces will appear as they will be built in around the ongoing stuff like the 2018 ICA World Cup, the guest postings, Charged Particles and other inane ramblings that I have in the pipeline. There’ll even be an ICA from a Scottish act which I wrote a few weeks back but never quite manage to slot in. For today, I’ve pulled out this double-pack single which was posted on the old blog but is one which I can’t trace via my search of what archives have survived. Oblivious had been released by Rough Trade in January 1983 and reached a reasonably respectable #47 in the charts. The album High Land, Hard Rain had come out a few months later to huge critical acclaim and the band had enjoyed a very successful summer promoting it out on the road. There was a feeling that Oblivious could benefit from a re-release which duly happened in November 1983, with a new sleeve and bolstered also by a limited edition double-pack release to entice those of us who had bought the 45 first time around. The live renditions were from a gig at El Mocambo in Toronto on 11 May 1983 which had been broadcast by a local radio station. No apologies for the fact the mp3s pop and crackle a bit….I’ve played them a lot over the years. The marketing campaign for the re-release was a success, taking the song into the Top 20, and providing a very fresh-faced and excited Roddy Frame with his first appearance on Top of The Pops. More Simply Thrilled induced nostalgia coming your way tomorrow. This has been partly cobbled from previous T(n)VV postings on Aztec Camera. I also had to wait until the singer/songwriter had been eliminated from the World Cup so that the song didn’t run the risk of featuring in consecutive or close posings. Roddy Frame was born in January 1964. 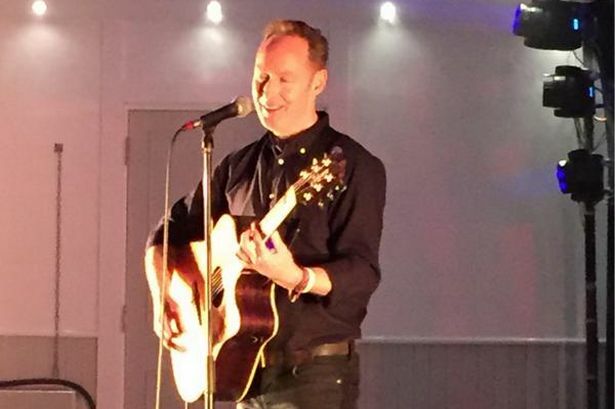 Before he was able to be legally served in the pubs of his hometown of East Kilbride, he had written, recorded and released two astonishingly good singles on Postcard Records that were released in 1981. A teenage kid wrote this and recorded it not long after he turned 17 years old. Johnny Marr must have been tuning in and been inspired. And Grant McLennan and Robert Forster will have looked on while they made their fleeting visit to Glasgow to record for Postcard and smiled at being in the presence of a genius. I’ve previously admitted that it wasn’t a song I took an instant shine to. It was, if anything, too clean sounding. I realise now that my musical tastes in 1981 hadn’t quite evolved enough to appreciate it. It’s now probably my favourite Aztec Camera song of them all. In a parallel universe, radio stations across world over have picked up on the debut and record pressing plants have been working senseless amounts of overtime to ensure supply is keeping up with demand for this particular sound of young Scotland. Roddy Frame has become the biggest and most popular pop star on the planet and Alan Horne has just made the first of his many billions in what would turn into an entrepreneurial career that would turn him into one of the world’s best known personalities, albeit one who is loathed by as many as those who like or admire him. I’m happy enough, however, with what happened in this particular universe in that a few thousand copies of the single were sold in small, independent stores across the UK, just enough to allow Roddy Frame to survive the demise of his record label to go onto bigger things that brought occasional chart success but sustained a career that is still going strong and is being critically acclaimed the best part of 40 years on. OK, I wish Alan Horne had gotten a slightly better deal out of it, but I get the feeling, for the most part, that he was happy enough with his occasional 15-minutes worth of fame every now and then, all of which has resulted in much of the myth still enduring. Some might claim that the likes of Oblivious and Somewhere In My Heart (notwithstanding my personal disdain for the latter) were ‘better’ singles than the debut in that they had a catchiness and appeal that resonated with the record-buying public. But if I was around, I would be very quick to challenge such a claim and willingly enter into an argument. Just Like Gold b/w We Could Send Letters is a cracking debut single that no other 45 from Aztec Camera quite matched up to. OK, by 1988 Aztec Camera weren’t really a band – more a name under which Roddy Frame recorded and toured. And as much as I had little time for the sound of the hugely over-produced Love LP, and the singles that it spawned, I was secretly pleased that Roddy was at last enjoying some long overdue commercial success and a wee bit of fortune. Oh and it’s not as if one producer was to blame for the sound of Love – there were a multitude of them. The hand on the buttons for this single and this version of the song that made it to the b-side was Michael Jonzun, best known in part for radio-friendly electro-funk stuff and for working with his brother Maurice Starr, who to intent and purposes, invented the boy-band phenomena of the 80s thanks to New Edition and New Kids On The Block (and there’s two acts I bet you never thought would get name checked on T(n)VV). Stretching out to a tortuous seven minutes, it’s precisely what was wrong with so much music in the late 80s. It was interesting that having tasted pop stardom, and all that it entailed in terms of promotion (daytime TV, kids shows, miming on Top of The Pops and similar shows across Europe), Roddy seemed to go out of his way to make a follow-up called Stray that was mostly downbeat and lovely, albeit it also had contained a massive hit with the ultra-catchy Good Morning Britain. I was lucky enough just last Friday to get myself along to see Roddy Frame play an outdoor solo acoustic set in front of an adoring home audience at the restored bandstand in Kelvingrove Park here in Glasgow. He was on blistering form and relaxed enough to engage in a fair bit of entertaining chat with the audience in between songs. It was only after this set, which extended out to well over 100 minutes, that I fully appreciated just how many great songs he’s written over the years under his own name and of course under the label of Aztec Camera. And that was after a set that didn’t include all four of his Postcard songs!! So I thought it would be worthwhile giving him the imaginary album treatment. Notwithstanding that some of the production has dated poorly there can be no question that the first Aztec Camera LP is one of the greatest records in Scottish history. It is a record packed with ridiculously catchy and memorable tunes and some wonderfully observant lyrics. And of course Roddy Frame wrote most of the songs before he had reached his 18th birthday. This song may not have been a single but it is the one that really has endured…a joyous celebration of youthful life with that fearless take on things that you have at that age. And its a great record to dance to. I have a real love/hate relationship with the third Aztec Camera LP from 1987. Love is over-produced to the point where at times it becomes near unlistenable which is a damn shame as some of Roddy’s best songs can be found among its nine tracks. It is when you hear them played nowadays, almost 30 years later, with just the voice and the acoustic guitar to occupy your thoughts, that you get a full appreciation of their majesty. As with this, the sublime second track on Love but captured live in Osaka, Japan in September 2006. A 16-year old kid wrote this. Johnny Marr must have been tuning in and been inspired. And Grant McLennan and Robert Forster will have looked on while they made their fleeting visit to Glasgow to record for Postcard and smiled at being in the presence of a genius. I’ll admit that this wasn’t a song I took an instant shine to. It was, if anything, too clean sounding. I realise now that my musical tastes in 1981 hadn’t quite evolved enough to appreciate it. 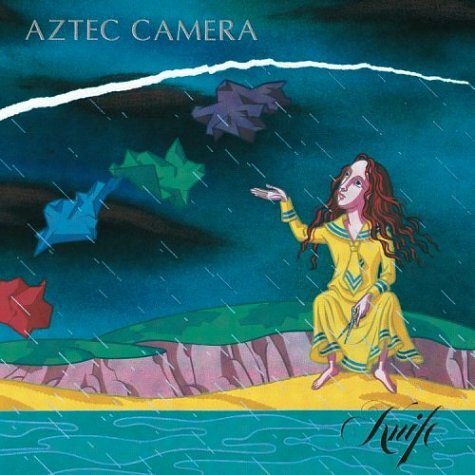 It’s now probably my favourite Aztec Camera song of them all. I somehow haven’t found space on this imaginary offering for the single that first brought the band to the wider attention of the record buying public albeit I think it’s a belter of a 45. But it is the b-side I have always been really fond of….not least as it helped me along the way to reassessing how I felt about Just Like Gold. A short while later I fell for the charms of Billy Bragg and there’s many a time I’ve thought that Orchid Girl is the greatest BB love song that he never wrote….. The North Star was the first album that Roddy hadn’t released as Aztec Camera and yet it is the album which overall is closest to the Aztec Camera debut record than any other in that it was packed with hooks and catchy choruses. There’s an irony in there somewhere…. This track, tucked away in the middle of the CD, was the one that I thought at the time could have taken him back into the charts if the record label, Independiente, had gone for it as a single….but they didn’t. It’s the one where Roddy reflects how maybe he wasn’t quite prepared for everything that was involved with being a pop star on a major label. There would have been a real irony if Bigger Brighter Better had turned out to be his return to the singles charts. The final irony? In 1999, Independiente oversaw the release of The Man Who by Travis – a record that wasn’t really all that far removed from the sort of songs Roddy had tried to make his comeback with and yet it sold in millions. The record buying public at their fickle best. The closing track on the Love album wasn’t one that suffered from too much over production and almost made the cut. But there’s just something a bit special hearing Roddy, with just a guitar for accompaniment, deliver this ode to his roots at a venue thousands of miles away and realising that it’s a song capable of bringing a lump to the throats of an audience who have never set foot in the famed bus station. Originally released on the b-side of Just Like Gold and I honestly don’t know which of the versions I prefer. The original is more dependant on the acoustic guitar and in comparison to the album version is almost demo-like in nature but comes with a passion and energy that makes it an essential listen. However, the slicker production and the fact the tempo on the album version is slightly slower allows the song to breathe a bit more. Oh and it’s also nearly a minute or so longer in length with a cracking solo from Roddy thrown in that ensures its place on this imaginary compilation. A rare time when Roddy puts the guitar to one side and plays the piano to turn his radio-friendly stomp chart hit into a thing of beauty. The lyric was always a social commentary on life in the UK under a right-wing Tory government with no prospect of things changing but was kind of lost in the bombastic tune that with the help of Mick Jones took Aztec Camera into the charts for one last time in 1990. This live version demonstrates just how great a song it is….maybe it is time for it to be dusted down and updated to take account of life under David Cameron…. The closing track on Love, the record that spawned Somewhere In My Heart the band’s biggest and best known hit. Killermont Street was the location of one of the bus stations that served Glasgow in the 60s and early 70s and in due course would be the street on which the new Buchanan Bus Station would be built in 1977. 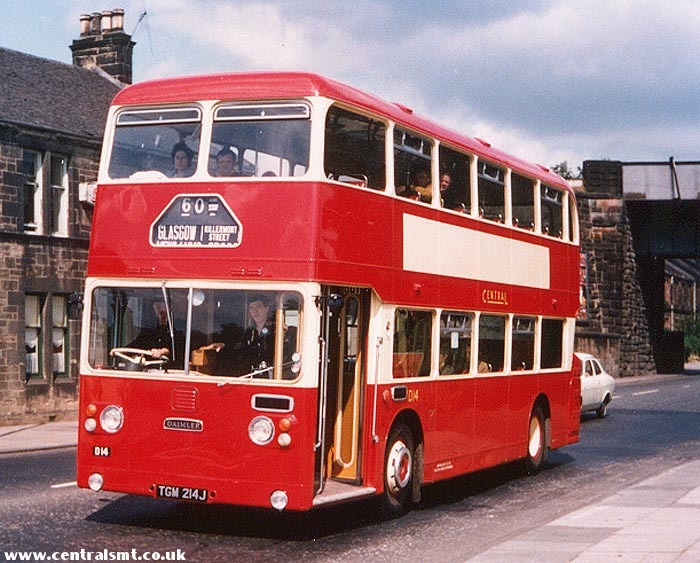 This is where a young Roddy Frame would need to make his way to head home of an evening and back to East Kilbride a journey that I’m sure saw him sitting on the top deck of the bright red bus dreaming of future days when his talents would take him all over the world. And when that came to pass, it seems so fitting that he would see fit to pen this wonderful tribute to his adopted home city and to link it to the actual nearby town where he grew up, both of which by the late 80s were suffering as a consequence of the policies of an unsympathetic right-wing government content to see a dismantling of the traditions that had built Glasgow and its surroundings. This one is dedicated to Drew who resides Across The Kitchen Table. We must be due a pint again soon amigo…..